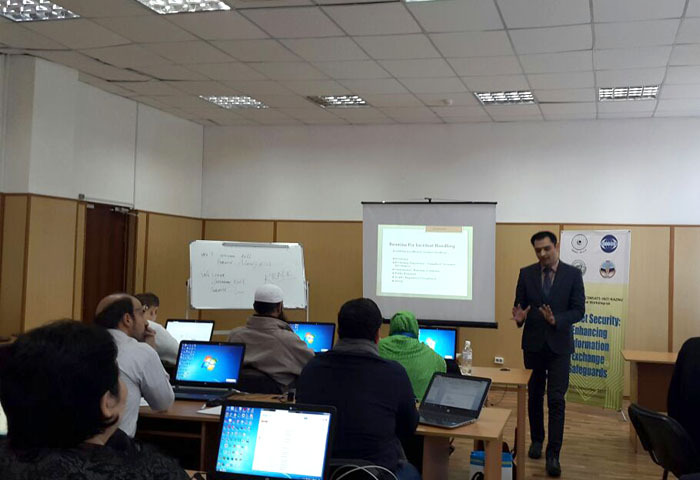 The 7th International Workshop on ‘Internet Security: Enhancing Information Exchange Safeguards’ was held from 19th to 23rd December 2017, in Almaty, Kazakhstan. 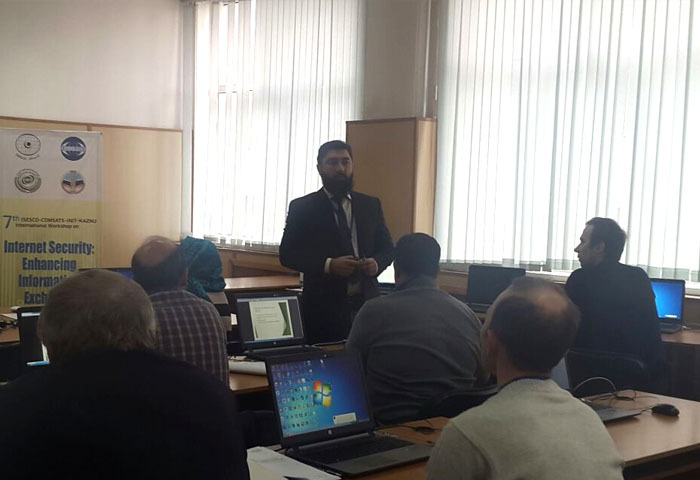 The event was jointly organized by Commission on Science and Technology for Sustainable Development in the South (COMSATS); Islamic Educational, Scientific and Cultural Organization (ISESCO); and the Inter Islamic Network on Information Technology (INIT), and was hosted by the Al-Farabi Kazakh National University (KazNU), Kazakhstan. The workshop was inaugurated by Prof. Dr. Tlekkabul Ramazanov, Vice-Rector for Research & Innovations, KazNU, on 19th December 2017. During his address, Prof. Ramazanov, on behalf of Rector KazNU, Prof. Galimkair Mutanov, welcomed all of the subject experts, and local and foreign participants. He expressed pleasure on hosting the workshop at KazNU, and thanked ISESCO, COMSATS, and INIT for their collaboration in this regard. 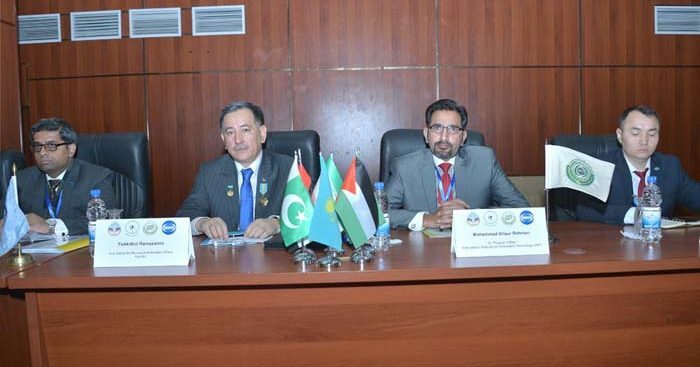 He considered this activity highly useful for the Member States of COMSATS and OIC. Highlighting the increasing reliance of organizations and individuals on information technology, such as cloud computing, big data, etc., Prof. Ramazanov highlighted the significance of information and cyber security. He wished the participants fruitful sessions during the workshop. The Executive Director COMSATS, Dr. S. M. Junaid Zaidi, in his message, highlighted the remarkable evolution in the field of Information technology over the years. The world however is paying a price for this progress in the form of Internet/cyber threats increase in the rate of financial frauds, cyber-extortion, cyber-warfare, hacking, identity theft, and other forms of cybercrimes. He stated that specific legislations and protocols can mitigate the effects of cyber threats, which are a trans-national issue. He pledged that COMSATS will continue to build capacity of its Member States regarding information and cyber security. He thanked the foreign participants and experts for their presence, as well as the partner organizations for collaborating with COMSATS in order to hold this event. In his message, Dr. Abdulaziz Othman Altwaijri, Director General of ISESCO, stated that the rapid growth and widespread use of electronic data processing and electronic business conducted through the Internet, along with numerous occurrences of international terrorism, fuelled the need for better methods of protecting the computers and the information they store, process, and transmit. He informed that ISESCO facilitates transition towards knowledge-based economies through developing intellectual potential of societies and providing capable human resources. He thanked the collaborating organizations for successful conduction of the workshop. 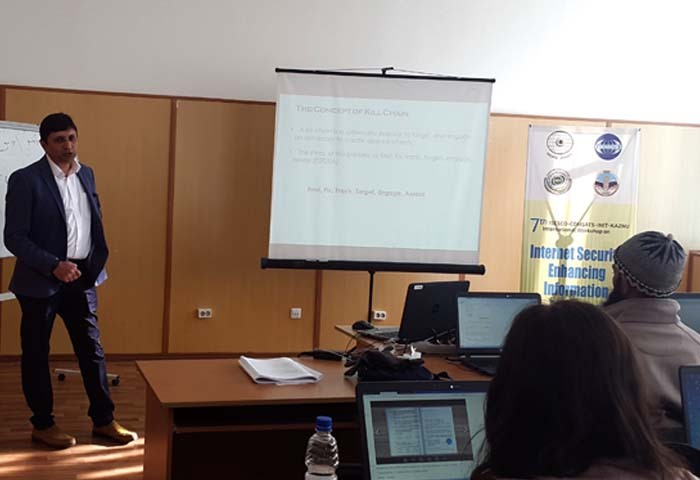 The technical sessions of the five-day workshop were attended by 40 young researchers, academicians, system administrators and cyber security professionals, belonging to Kazakhstan, Bangladesh, Jordan, Mauritania, Iran, Pakistan and Sudan. The event provided a forum to the participating researchers and professionals to learn about the latest advancements in the field of Internet security; use the state-of-the-art technologies for protection of network and network accessible resources from different types of software attacks; and working out effective Internet/information security solutions for general public, governmental organizations, and commercial enterprises through rigorous risk analysis and security management approaches. Various topics covered during the technical sessions included organizational security; cyber security; cloud computing security; risk assessment; digital forensics; ethical hacking; dissecting a cyber-attack; Reconnaissance (Recon); Password Attacks & Social Engineering concepts; covering tracks and hiding; various types of attacks; evolution of Botnet Configurations and DDoS attacks; and concept of kill chain. Practical exercises and trainings on Information Security/Policy/Procedures Writing; Information Assets Identifications & Valuation; Gap Analysis; Statement of Applicability; Risk Assessment & Treatment; Auditing and Certification Process; using Master Boot Record- MBR/VBR/Partition Tables, as well as using Master File Tables – MFT (Scenarios/ Experimentation); Wireless Hacking and Countermeasures; and Incident Handling related to Malware Attack Scenario, e-mail Scenario, and Network/Web Attack Scenario. 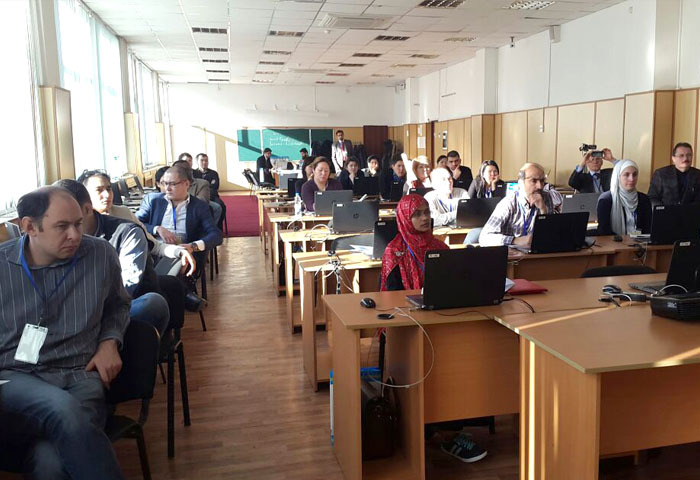 The workshop successfully concluded with the distribution of certificates among the resource persons, local and foreign participants, and organizing committee members, by the representatives of KazNU, COMSATS and INIT. The COMSATS’ official also held a meeting with Rector and Vice Rector KazNU to discuss ongoing collaboration.